You would have seen from my recent post that Bourjois have released some new products into their winter collection. Two new shades of nail polish are some of them, which will fit nicely into most peoples nail wardrobe this season. 'Grey to meet you'* - a slate grey which is a change up from your conventional reds and plums that you tend to see this time of year. The colour is almost opaque in one coat, but does look better with two. 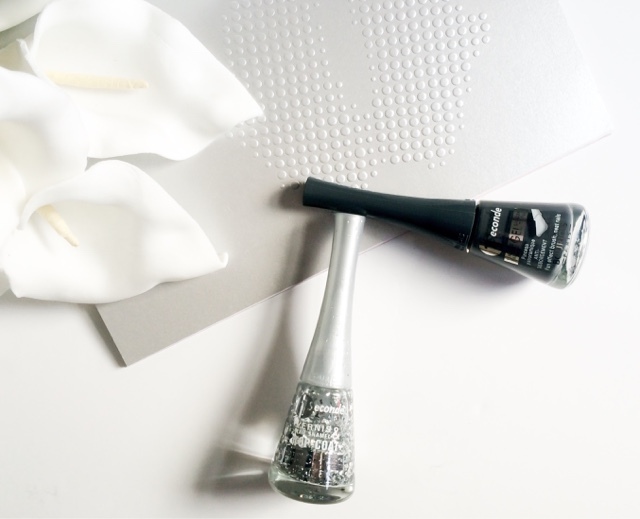 'Glitterizer'* is your traditional touch of sparkle that you're used to seeing around the festive seasons, and the silver leaf pattern compliments the other shade beautifully. If you're wearing this alone like I have you do need at least 4 coats to so the glitter is distributed evenly. 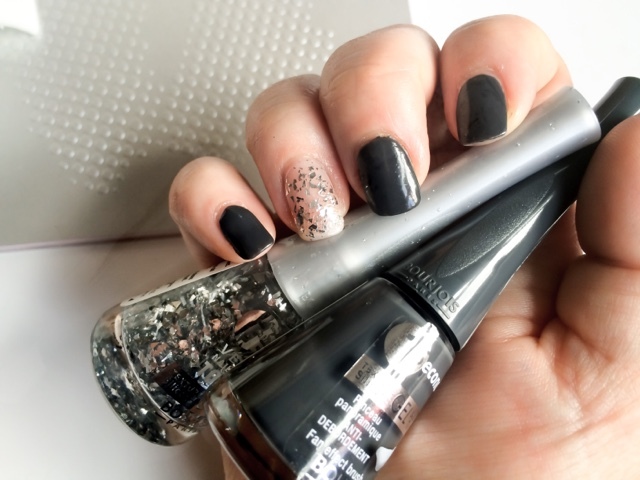 The formula of this polishes are second to none. A gel enriched with silicon that moulds perfectly around the nails, and creates a high shine glossy finish. 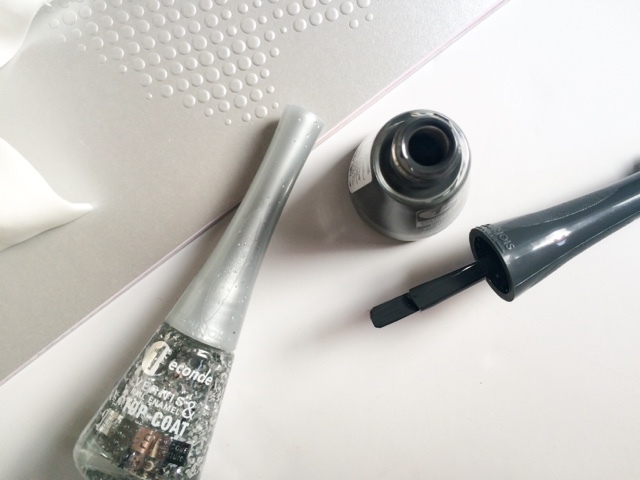 The fan effect brush allows to you coat each nail with ease, so easy in fact the only things you need to create perfectly manicured nails are, two hands and some nails. Job done. You can buy these along with other shades for £5.99 at Boots and other Bourjois stockists. What colours will you be adorning your nails with this winter and party season? Eden x // edenroses // enter my giveaway!